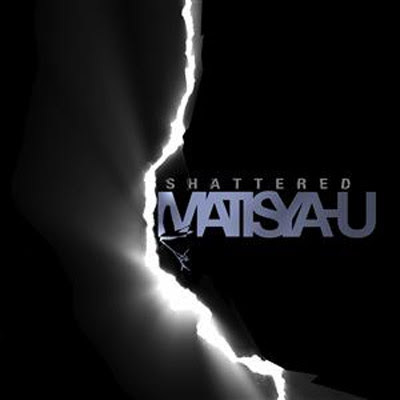 On October 21, 2008, Grammy-nominated artist Matisyahu will release his new EP, “Shattered”, via Epic Records. The four-song EP features tracks from his new full-length album, “Light”, to be released in early 2009. Produced by David Kahne (Paul McCartney, Regina Spektor, Sublime), “Shattered” was recorded and mixed in Jamaica, New York, Los Angeles and Virginia. Several guest artists contribute to the four-song EP: ground-breaking Jamaican reggae rhythm section Sly & Robbie, son of legendary reggae artist Freddie McGregor and among Jamaica’s youngest and most innovative young producers Stephen McGregor, Fish and Norwood Fisher of the legendary L.A. alt-punk-ska band Fishbone, and experimental turntablist Ooah from the Glitch Mob. Matisyahu emerged in 2004 with his debut album “Shake Off the Dust…Rise”. With the release of “Live at Stubb’s” (2005), which reached #1 on Billboard’s Heatseekers chart, and “Youth” (2006), which debuted at #4 on Billboard’s Top 200 and reached #1 Reggae Albums chart, Matisyahu gained considerable critical acclaim. Both albums subsequently went Gold and “Youth” was nominated for a Grammy for Best Reggae Album. His most recent release, the EP No Place To Be (2007), reached #1 on the Reggae Album charts as well.